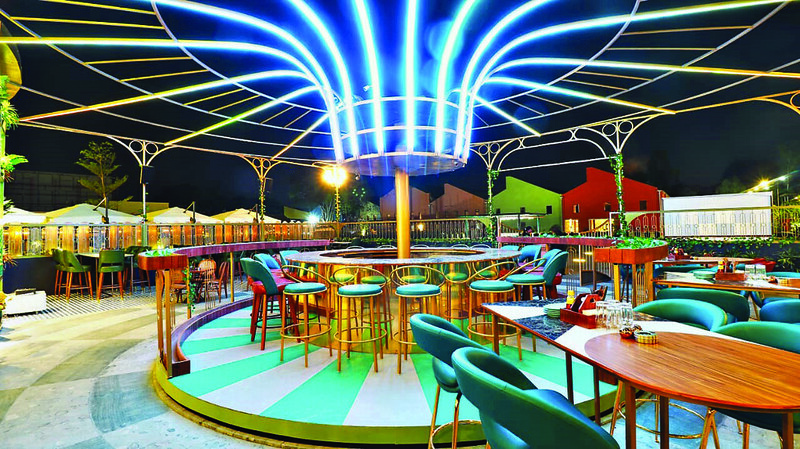 After a long, tiring day, we walked into Botanica — The Greenhouse Bar, a recently-opened restaurant at the new Raja Bahadur City Centre where the Raja Bahadur Mills earlier stood. The newly developed centre is an upcoming commercial hub. As we entered the City Centre, a wide open space with beautiful dim lighting greeted us. Once inside the restaurant, we were transported to another world. The chic yet practical decor caught our attention. With a bright blue and green colour scheme and a touch of rust orange, the decor was a cheery and refreshing change from the latest design fads. Different varieties of novelty plants stacked high on shelves, provided a very soothing effect to our dreary souls. The restaurant has both, indoor as well as outdoor seating options. We chose to sit outside and enjoy the cool summer breeze. The outdoor seating area is large, and good for both small and large groups. Right in the middle of the seating area is the revolving bar which accommodates 25 people at a time. If you are part of a large group, the revolving bar is a good place to sit and make some memories. The indoor seating area carries the same decor theme. Warm lighting and hanging plants from above give a very cosy feel to the otherwise large space. 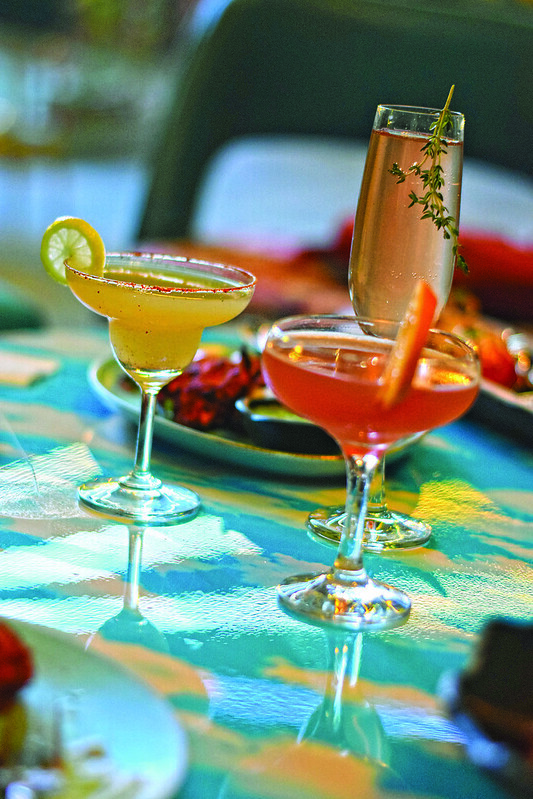 As the name suggests, Botanica — The Greenhouse Bar serves an array of options for alcoholic as well as non-alcoholic drinkers. From mocktails and cocktails to international liquor brands, they serve everything. Glancing through the drinks’ menu, we opted for their signature cocktails. We chose the Say Wha? and Blood and Sand. The Say Wha? was a super interesting tequila-based cocktail with avocado, curry powder, lime and honey. The different combinations blended well and had a unique taste. Choosing an appetiser from their extensive menu was a task as we wanted to experience a variety of dishes. After contemplating for a while, we asked the chef for recommendations. After asking our food preferences, the chef served us The Caesar Variants Eat Me Prawns Salad. The fresh bowl of salad with generous amounts of well cooked prawns, olives and lots of cheese was a perfect start to our meal. The Caesar Salad is also available in chicken and vegetarian option. Next, we tried the evergreen Chicken Kebabs. Served with a flavourful green chutney, the kebabs were delicious and to die for. With just the right amount of masala and spice, the soft chicken was tandoor-ed to perfection. Opting for a seafood dish next, we dined on the classic English dish, Fish and Chips. Though I am not a fan of basa, the fish was delectable. The fish was fried, but there was absolutely no oiliness in its texture or taste. The chips too were hot and freshly prepared, served along with tartar sauce. In the vegetarian segment, we gorged on the Fat Indian Plate. Beautifully presented, the plate had generous pieces of paneer marinated in tikka masala. The soft and succulent pieces were delicious and melt-in-the-mouth. Served with green chutney, salad and kadak naan pieces, the dish is an absolute must have. We also tried the Smoked Cheese Asparagus Tartlette. The crunchy bite-sized tarts were filled with asparagus mixed with smoked cheese. On the sweeter side, the tartlettes were delectable. The dish next on our mind was Chilly Pepper Fry Chicken. With just the right amount of masala and the well-cooked chicken, it was served with Ulta Tawa Paratha. The quantity served is enough for the dish to be a meal in itself. For the main course, we settled for a Veg Pasta. 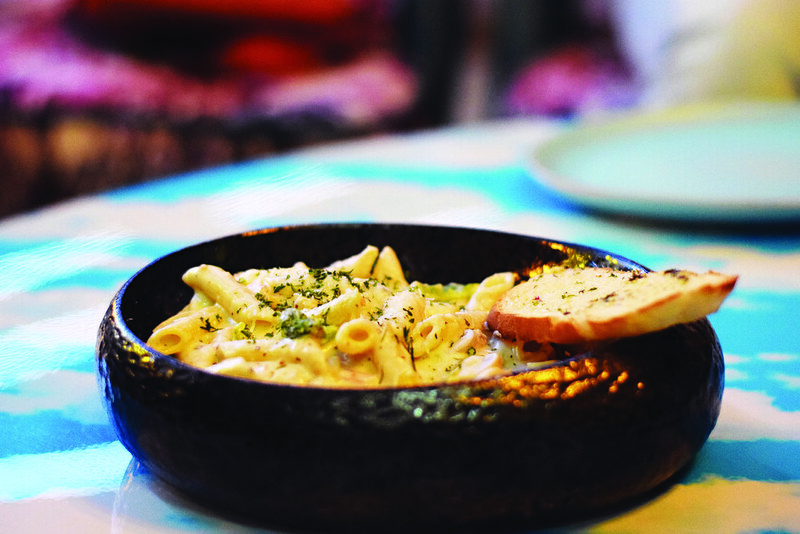 The steaming hot pasta in white sauce was just what we needed when the temperature started to cool down. Digging in, the pasta was heavenly and super creamy. The garlic bread served with the pasta was fresh and hot too. The restaurant serves a plethora of options for vegetarians as well as non-vegetarians with Indian and Continental cuisine and fusion food. For your sweet tooth, there are options of Bailey Berry, Mango and Mascarpone Truffle and Guava Matcha Semi Fredio, among others. Be it a private dinner or a large group, Botanica — The Greenhouse Bar has a little something for everyone. 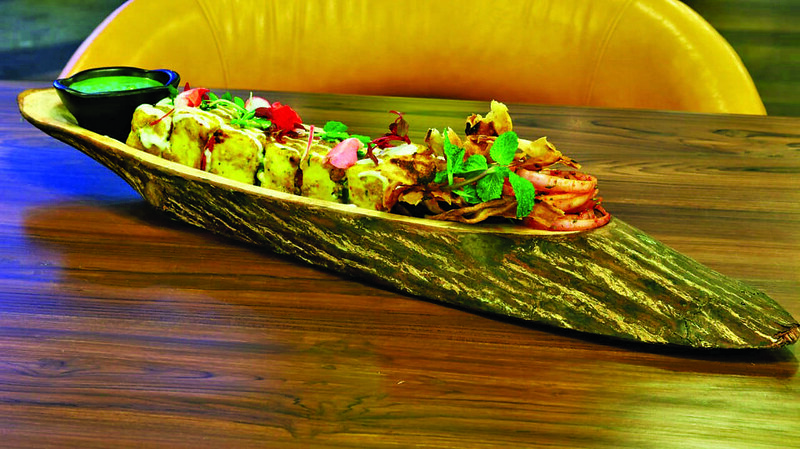 The restaurant with its sprawling space is family and child-friendly. Address: Botanica — The Greenhouse Bar is located at Raj Bahadur City Centre, behind Sheraton Grand Hotel, Bund Garden Road, and is open from 5 pm-12.30 am. There is ample parking space available at the venue. Follow and like Tugging My Luggage on Facebook, Twitter and Instagram for more photos and updates. 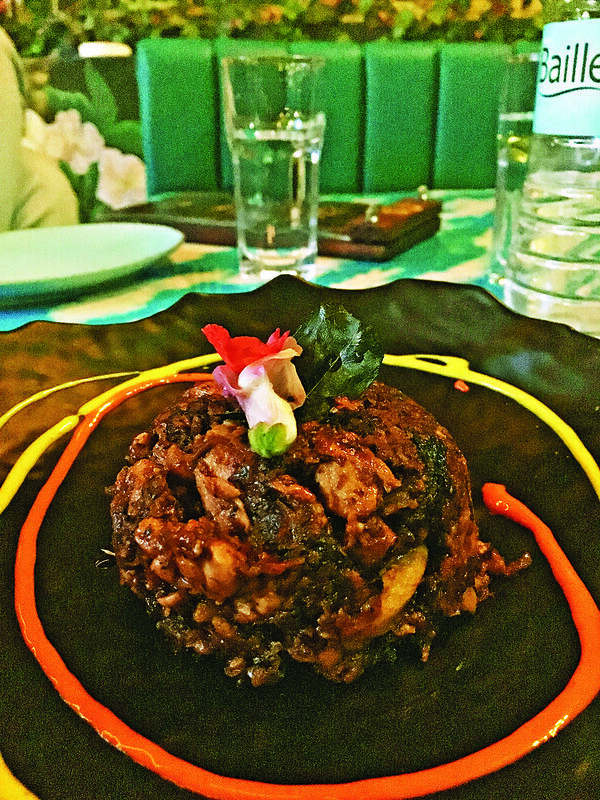 Posted in Food LoveTagged botanica restaurant pune, food review, hotels in pune, must eat in pune, pune food review, pune restaurantsBookmark the permalink.